Garfield County Search and Rescue retrieved three hikers from Anvil Points in a two-day mission over the weekend. The hikers had climbed to a location on Anvil Points, at the base of the Roan Plateau between Rifle and Parachute, where they couldn’t continue to hike up or down due to the steep ledges. Search and rescue personnel were deployed after getting the call at 5:33 p.m. Friday. But the hikers, who weren’t prepared to stay out overnight, were stranded for the night as the rescuers had to halt the operation after dark. 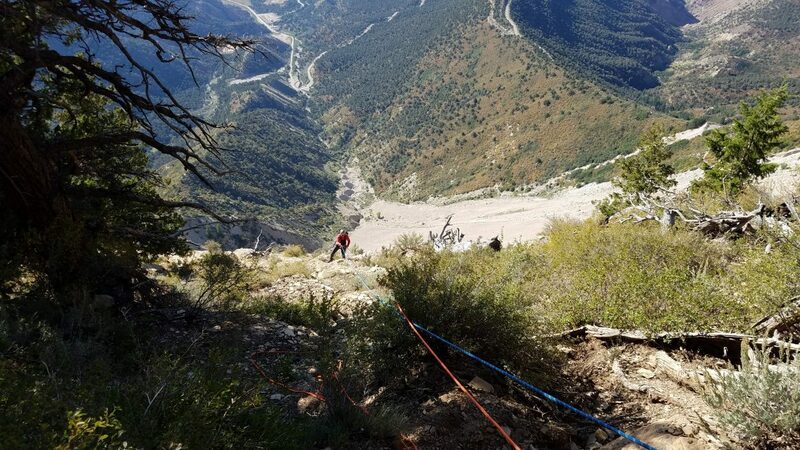 When rescuers reached the hikers the next morning, a technical rope rescue team from Mesa County helped retrieve them from the steep terrain. The 21-hour rescue pulled in 25 responders from Garfield and Mesa counties and required use of a variety of equipment, including ATVs, conventional vehicles, specialized equipment and a couple of helicopters, according to GSAR.